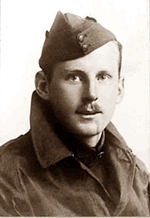 Captain Howard Redmayne Harker M.C. Howard Redmayne Harker (1891-1919), was born in Prestwich, Manchester, the son of Lancashire architect John Dent Harker. He was educated at Lawrence House School, St.Annes-on-Sea, Rossall School, Fleetwood and Manchester University. He joined the Royal Flying Corps and passed his Royal Aero Club Aviators’ Certificate at Birmingham in May 1916. He went on to become a First World War flying ace credited with five aerial victories and was awarded the Military Cross. 2nd Lt. (T./Capt.) Howard Redmayne Harker, R.F.C., Spec. Res. For conspicuous gallantry and devotion to duty. For nearly, a year he has carried out extremely valuable work in taking aeroplane photographs and leading bombing raids far behind the enemy lines, often in the face of great opposition and trying weather conditions. On a recent occasion while returning from a successful bombing raid his formation was attacked by more than twice its number, but by his fine offensive spirit and skilful leadership, the enemy were dispersed. He has consistently set a splendid example to his brother officers.